Pavers can give additional character to any outdoor surface. Did you know that you could even use them for your open-air kitchen, fire pits patios, and pergolas? 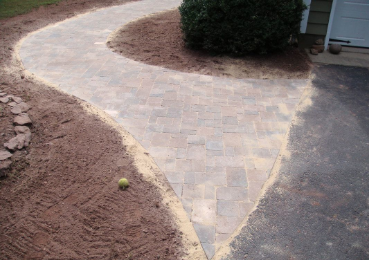 Walkways and stepping stones paths are also excellent candidates for pavers. The versatility and flexibility has never ceased to amaze us, and we hope the same for you. Once you have completed your landscape, hardscape is what comes next. And it is an exciting opportunity to take your outdoor spaces to the next level of creativity, entertainment, and functionality. These types of creations can be a key element in ascending your property from a regular space to a truly incredible masterpiece. The construction of a walkway, an outdoor kitchen, or a patio is often a prime starting point when you start investing in your garden and want to make it usable and enjoyable throughout the seasons. We are lucky to have nice weather year-round in Florida and if you haven’t used your backyard that much recently, it’s really time to rethink your choices and make it easier to appreciate and spend more time outside, especially after sunset when it gets cooler. Pavers are not only elegant, they are also very durable. By installing pavers the proper way with the help of professionals, you will enjoy many benefits in the long-term and will also save yourself a lot of time and energy. Installing them yourself is not an easy task, even for the well practiced DIY individual. If your pavers get damaged or stained after some time, it is always possible to repair them and make them look like new quickly and easily. A single call to our office and we will dispatch a team of specialists to give your pavers a second life. The possibilities are endless with our choice of colors, patterns, textures, and styles. You can fully customize your walkway or patio and get something truly unique that will reflect your personal tastes and your activities. 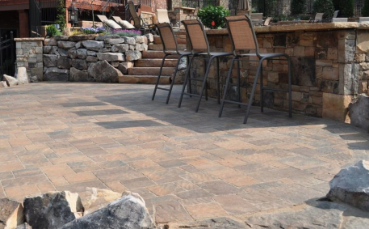 Transform your backyard into an extra room for work or entertainment with pavers. Their texture and color can easily blend or compliment the style of your house if selected carefully. A nice walkway will connect your home to the other parts of your garden, and creating a fire pit or a patio will define useful spaces in your yard. This is perfect for forming fun social social zones in which you can gather with friends to enjoy dinner, football games and movie nights. 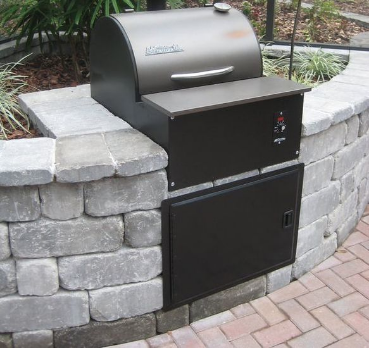 We can assist in building you the perfect patio kitchen equipped with all the amenities you will ever need for a BBQ, including smokers and wood grills. When most of us think about pavers, we think about patios, but there are many other ways to use pavers and this is only a condensed list, and there is room to get very creative! Our prices are extremely competitive, and you will still get excellent quality every time you do business with us. We are here to make your outdoor areas absolutely amazing at a cost you can afford. We work with some of the best pavers manufacturers in the country to supply us with all types of flagstone, tile, concrete, marble, granite, brick, and lots more. ​Contact us at 321-280-9011 when you’re ready to build some incredible new structures, walkways, cooking stations, stepping stones, or anything else!